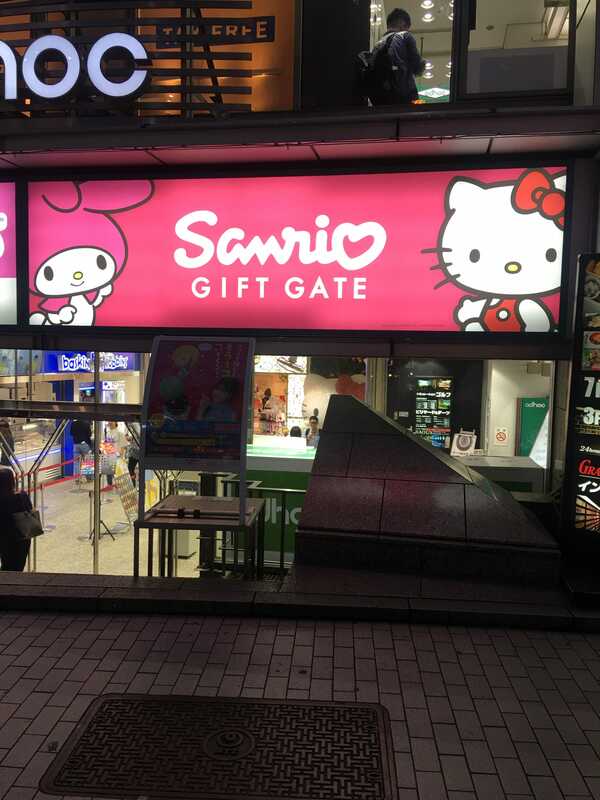 Japan has always fascinated me by its culture, its history, but of course because of Hello Kitty ! 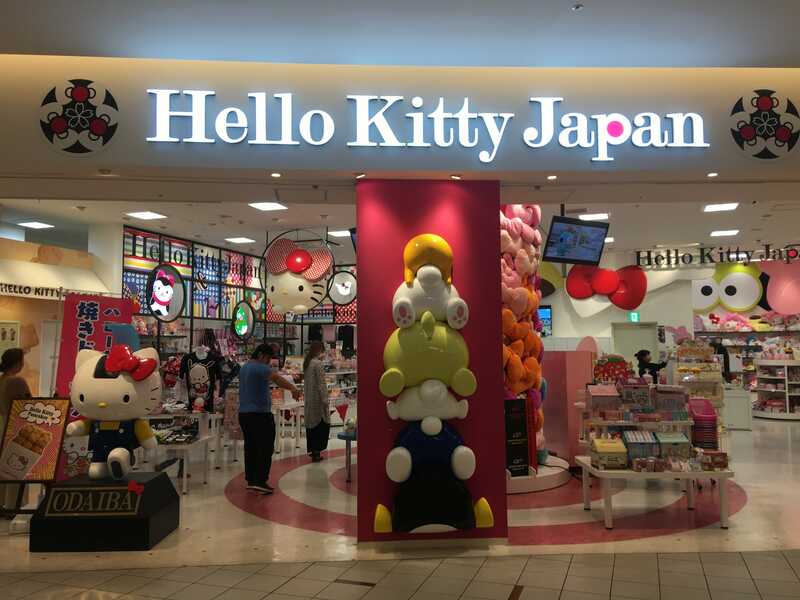 Japan is Hello Kitty Motherland ! 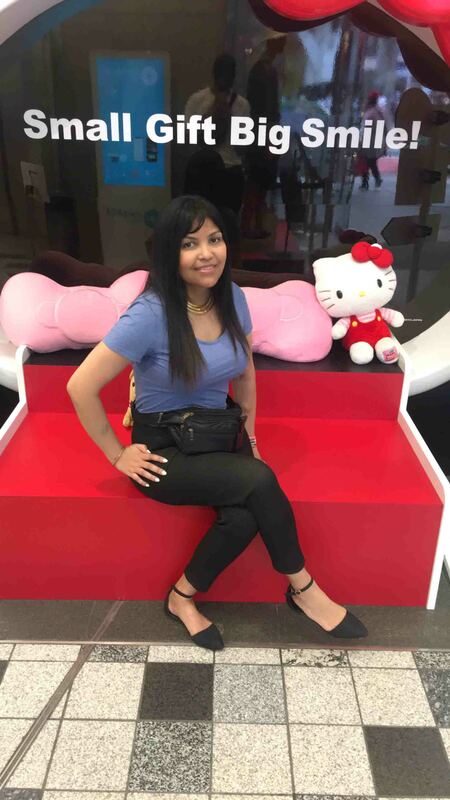 So when i got this opportunity to visit Tokyo ! I was really excited ! 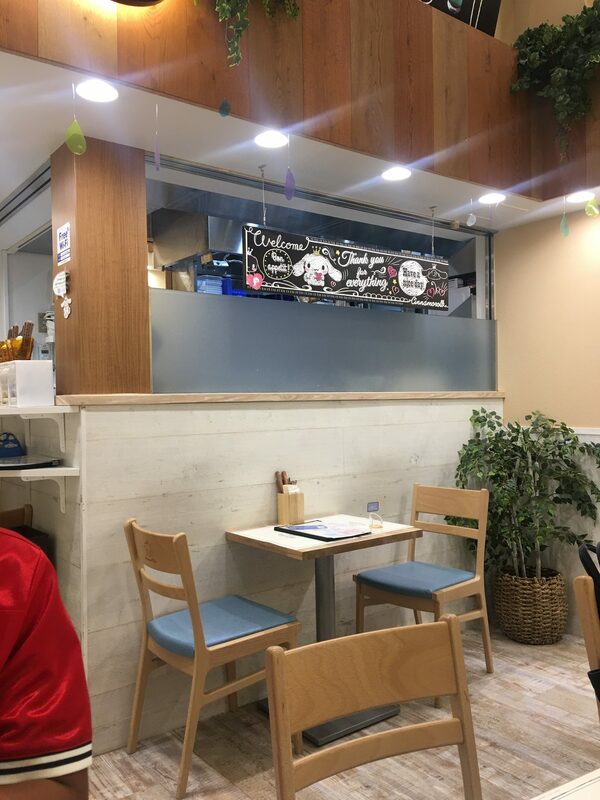 As it’s my first time there, i just decided to visit Tokyo ! 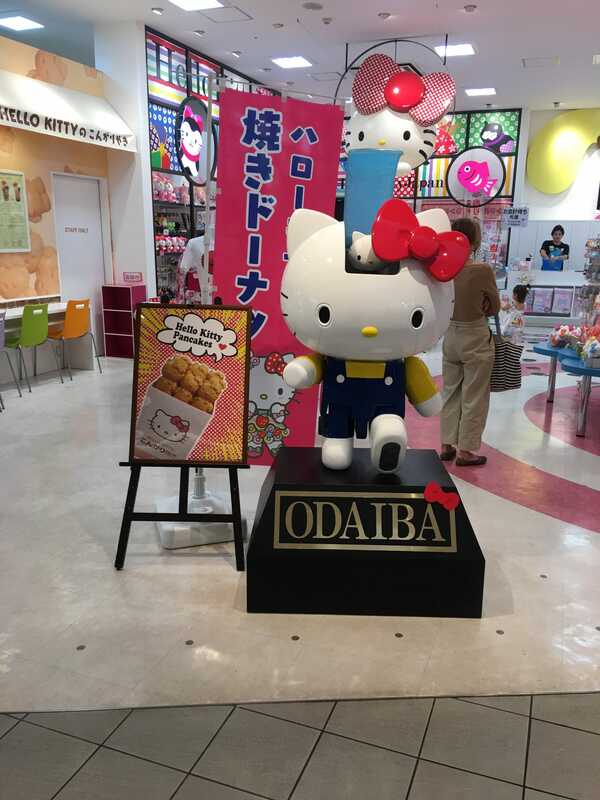 But i’ll back for sure for a complet trip around Japan ! 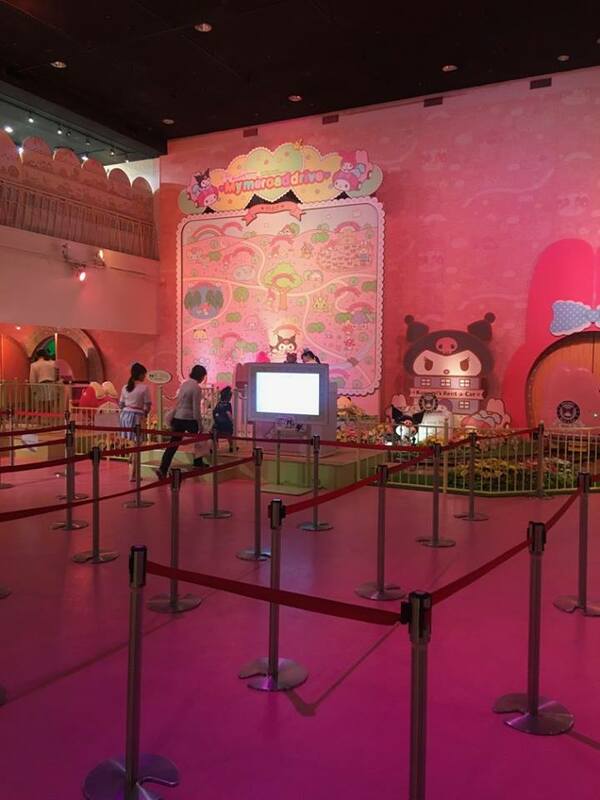 So Tokyo is very amazing ! There are a lot of lively neighborhoods ! 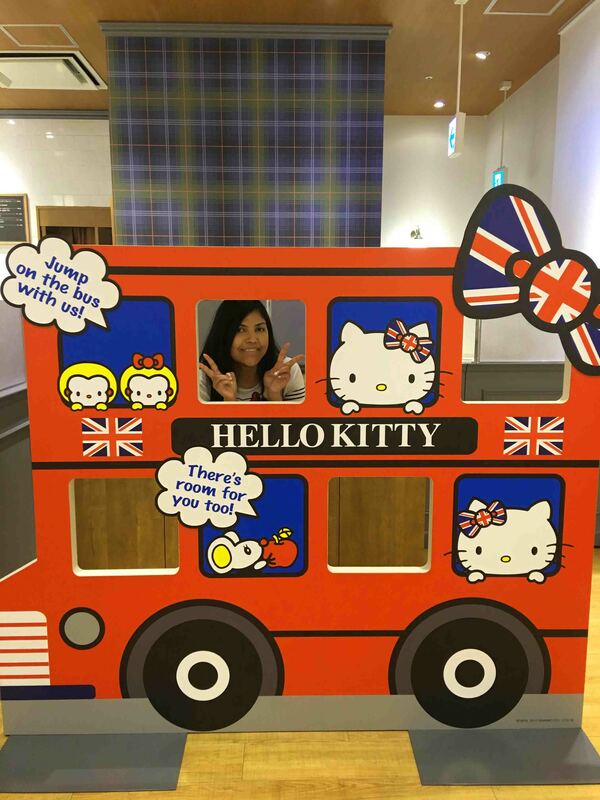 And i like Japanese people as well ! They are really nice, very polite, very respectful, very disciplined and they don’t fail to help you when you are lost ! 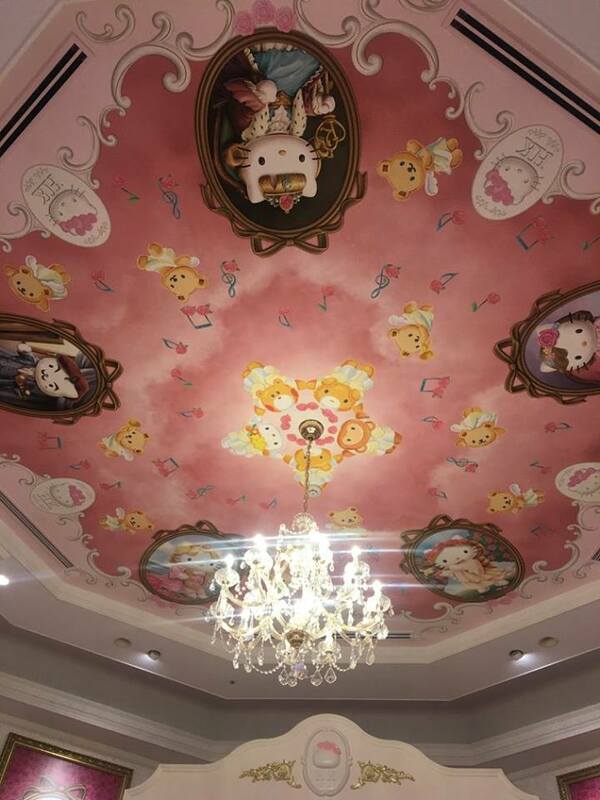 What I like the most is that there is Hello Kitty everywhere, but also many other kawaii characters as well ! 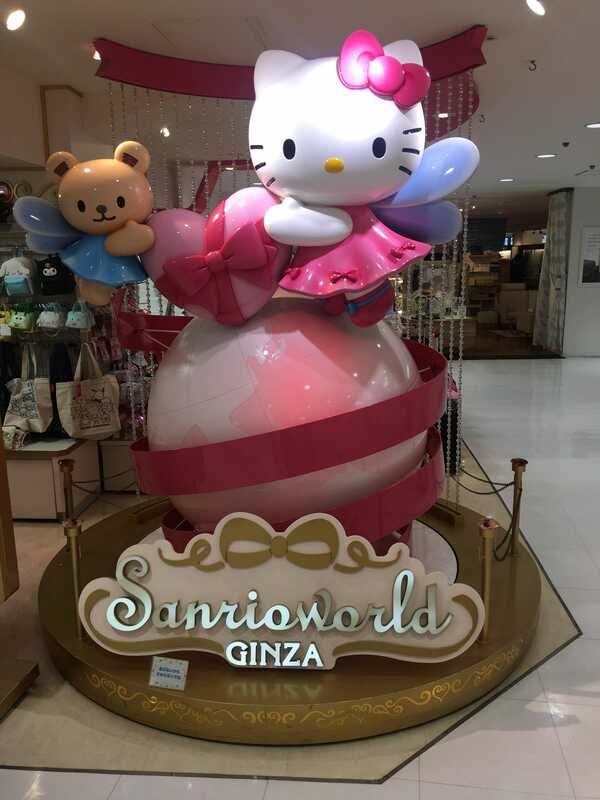 There are more than 20 Hello kitty shops in Tokyo : Hello Kitty Japan, Sanrio Gate, Sanrio Vivitix, SanrioWorld and also Sanrio Small Gift Craft and i visited some of them ! 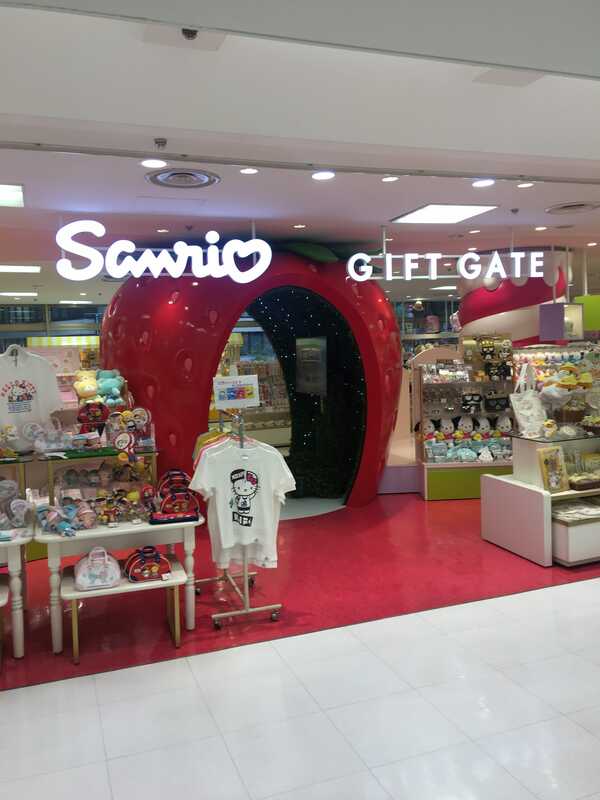 In fact, they sell nearly all the same thing ! But i always enjoy to rince my eyes everytime ! 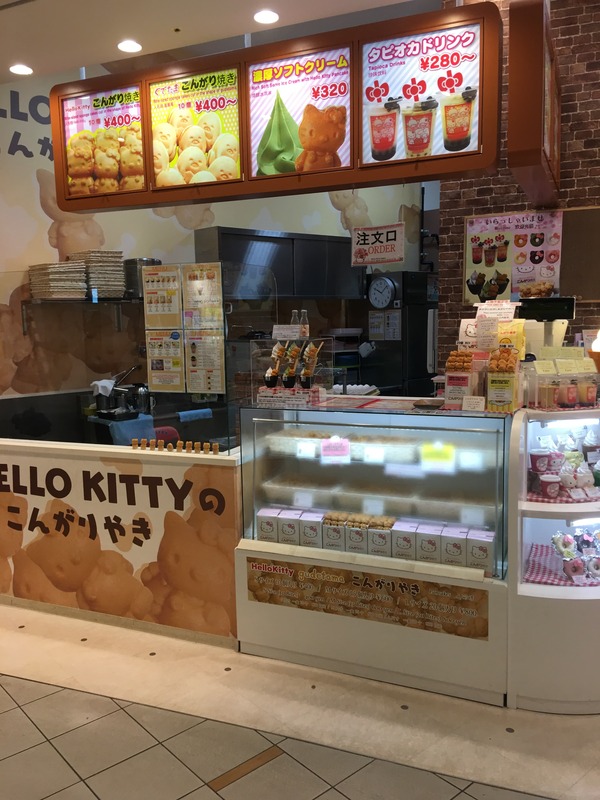 A must i had to visit in Tokyo as Hello Kitty fan is obviously Sanrio Puroland ! 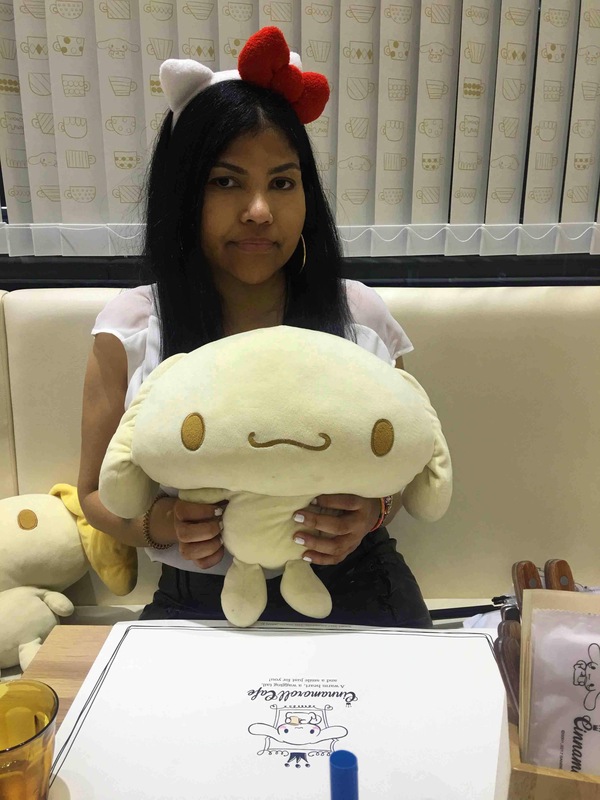 I decided to visit it for my birthday and i don’t regret it at all ! 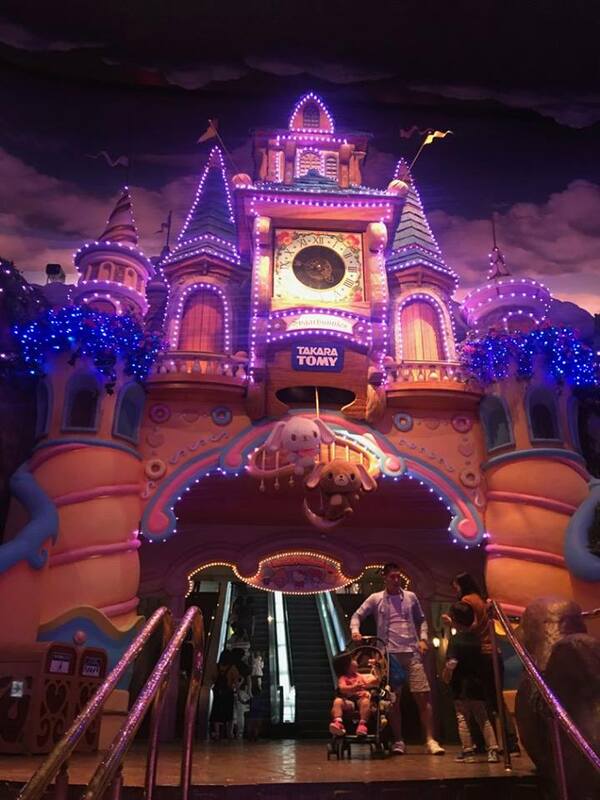 Ok it’s not really the crazy rides of Disneyland but it’s so cute overload ! 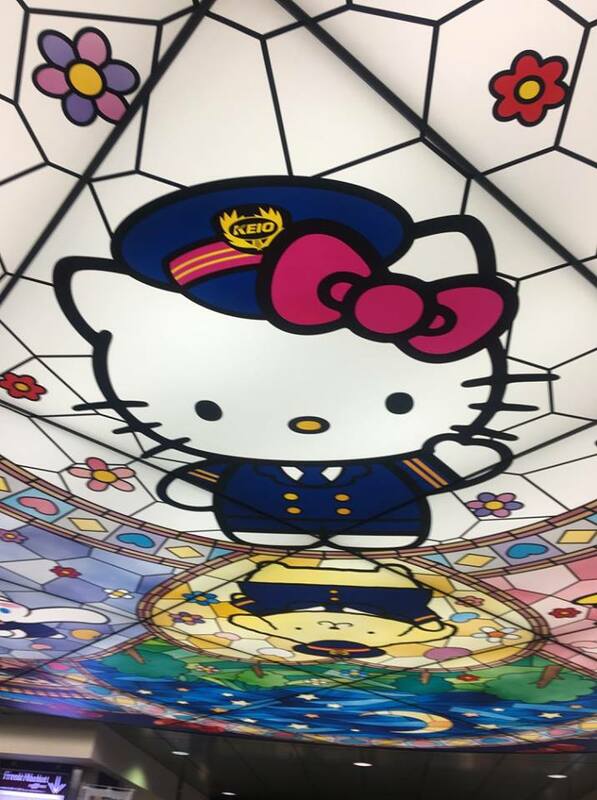 When you come to the Tama Station, you can notice that the station is completely dedicated to Hello Kitty, she is everywhere ! On the wall, the panels, the floor, the stairs ! 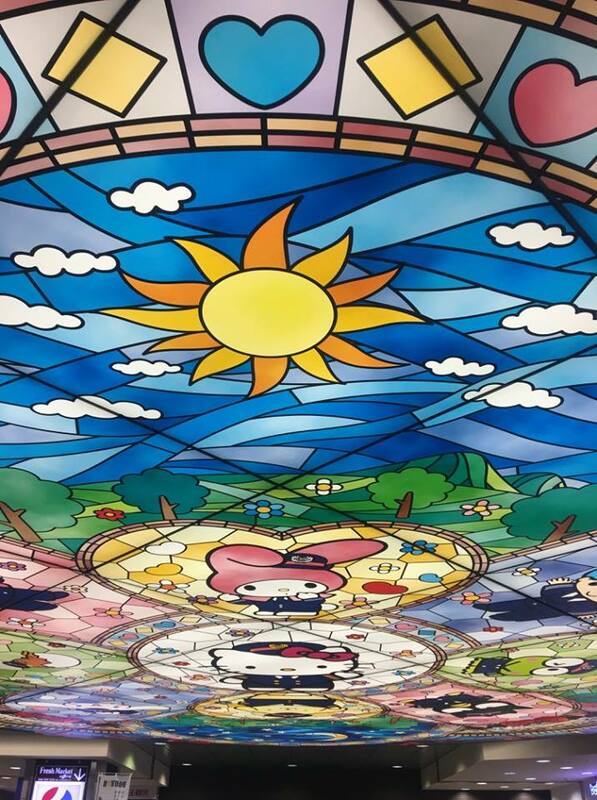 All the beautiful scenery in Sanrio Puroland is magical ! 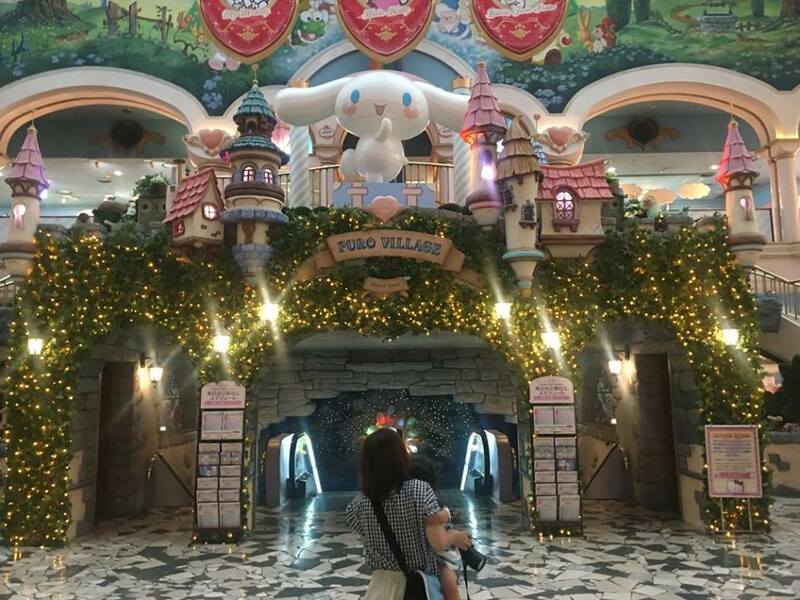 The main attractions are the Sanrio Character Boat Ride, Mymeroad Drive, Kiki and Lala Twinklingtour, the Fairyland and the Lady Kitty House. 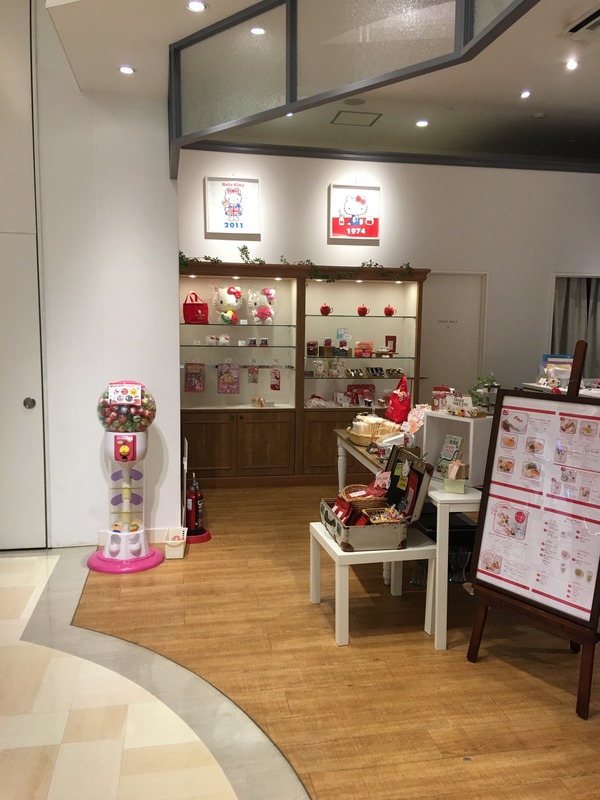 There are also many restaurants and shops to buy souvenirs. 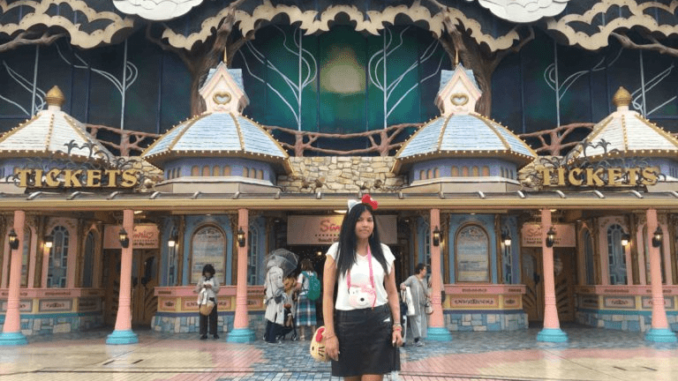 I really loved it ! 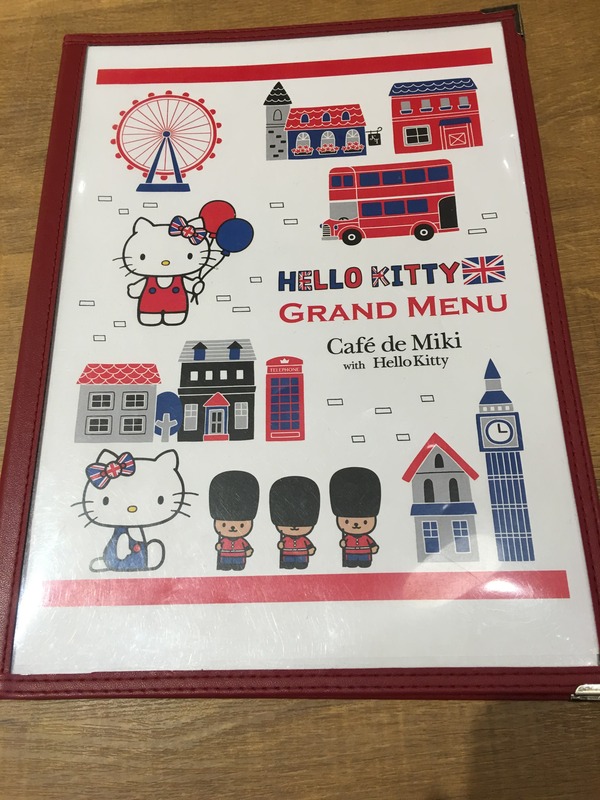 There are no similar attractions and especially with Hello Kitty in Europe. 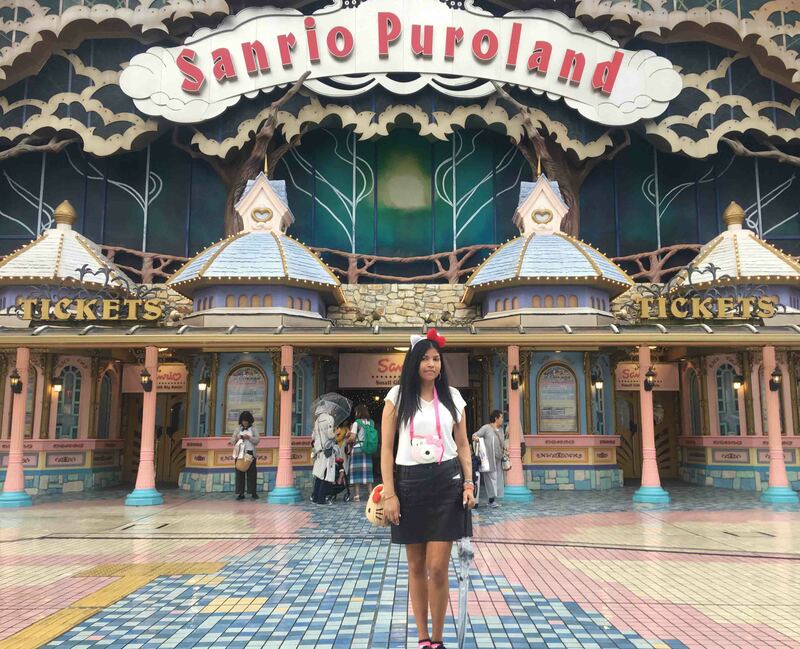 Sanrio Puroland is definitively very amazing ! 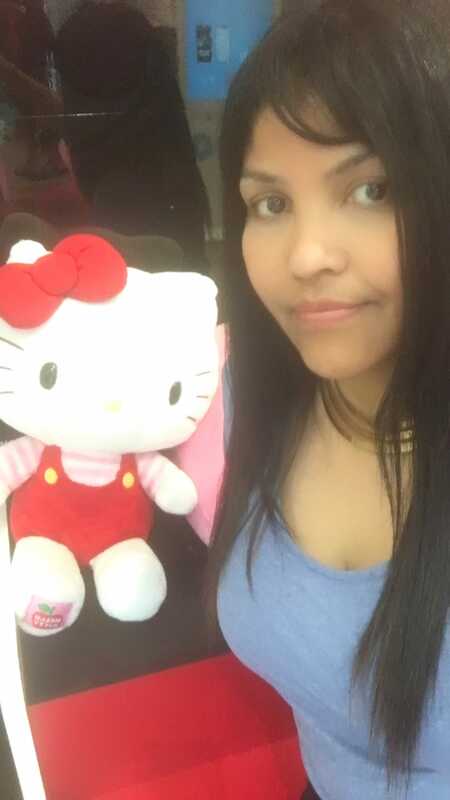 I came back to childhood and enjoyed my day to the max ! You have to be sure to come early cause there are still a lot of people for queues, and also because it closes very early at 5:00 pm. 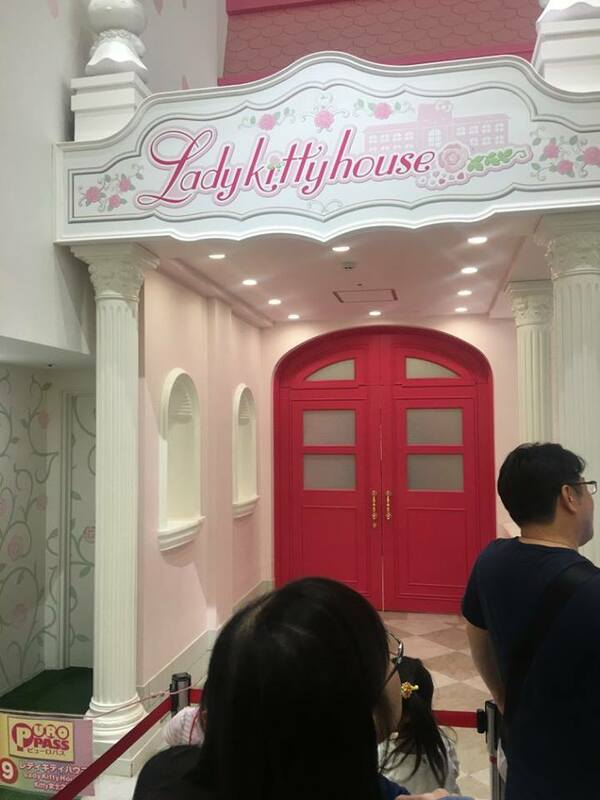 An other place that is not unique or specific to Japan but that I absolutely wanted to see : The Hello Kitty cafe ! 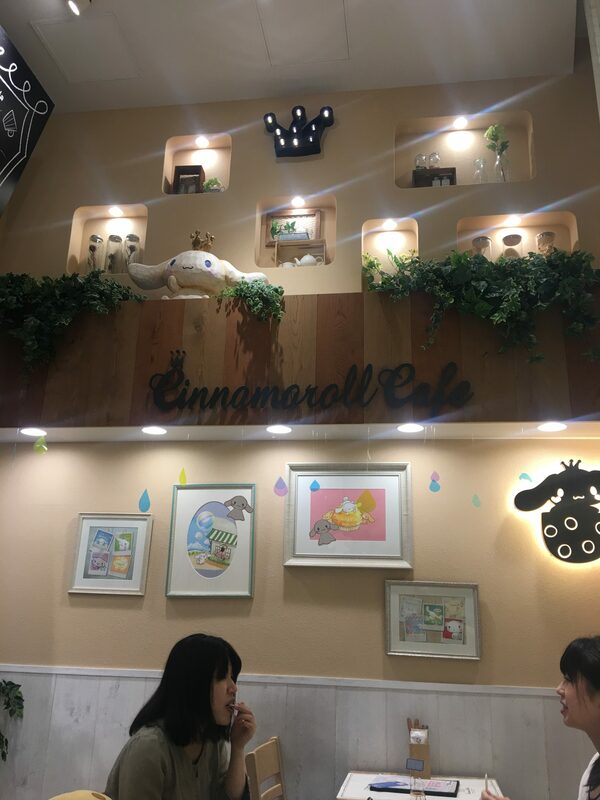 In fact there are several cafes with the characters sanrio, the most popular must be the one of Pompompurin in Harajaku ! 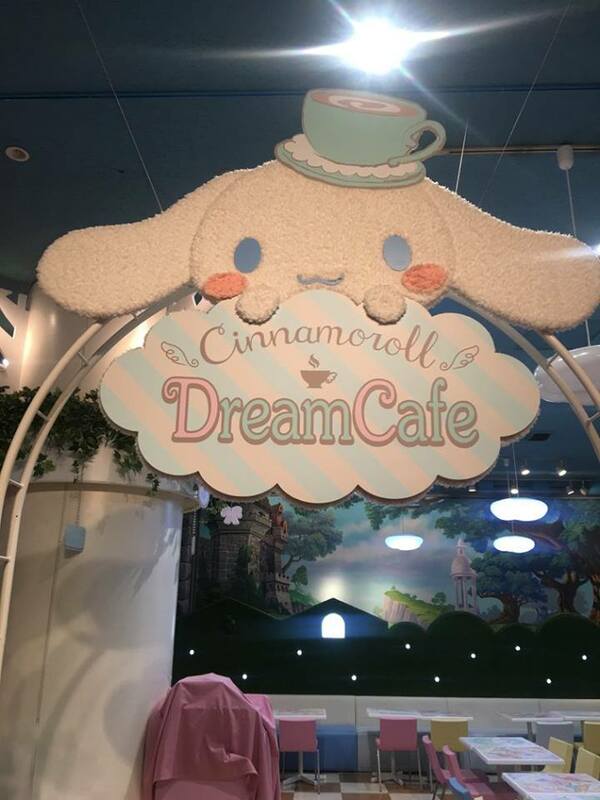 But i only tested the Cinnamoroll cafe in Shinjuku and obviously the Hello Kitty cafe with Miki in Odaiba ! 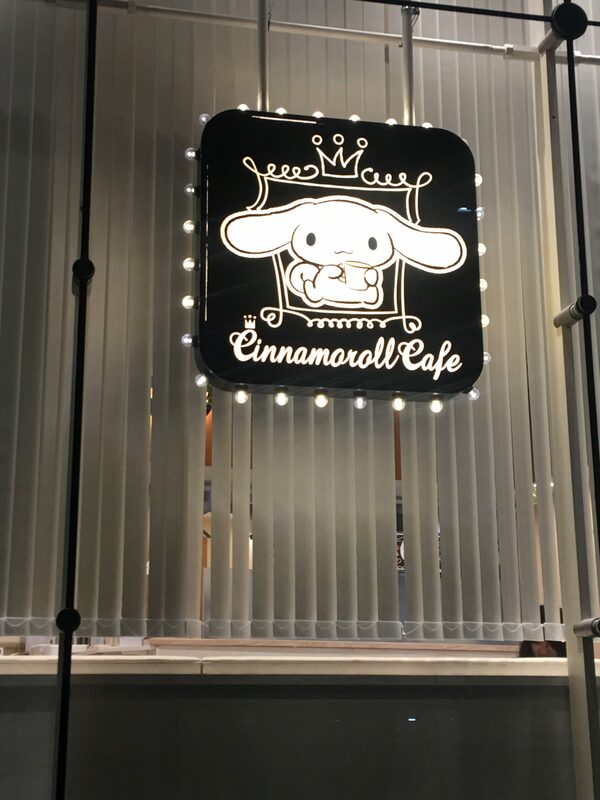 While we’re walking in Shinjuku to visit the Zenkoku Temple, we found the Cinnamoroll cafe by luck ! 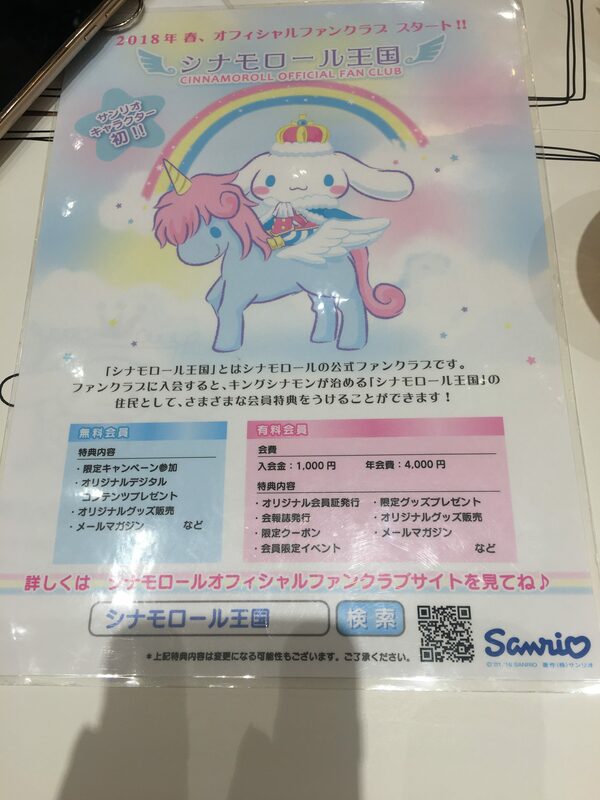 The inside is cute with stuffed Cinnamoroll ! Well in real, they need to go into the washing machine cause they start to darken, and I have’nt tried to venture to smell but they are still adorable! There must have been fans who have done too much hugs on them ! 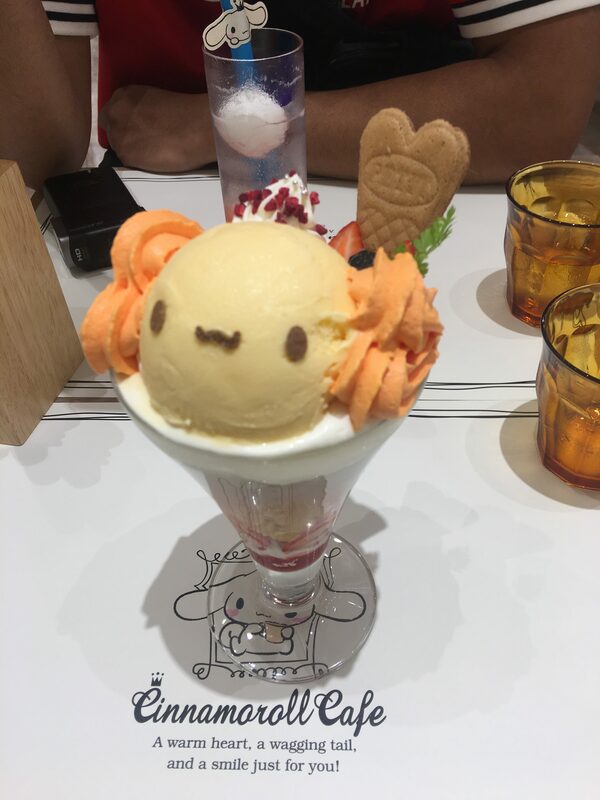 lol As I had dined before, I only ordered an ice cream and a cocktail (something like that! Haha) ! 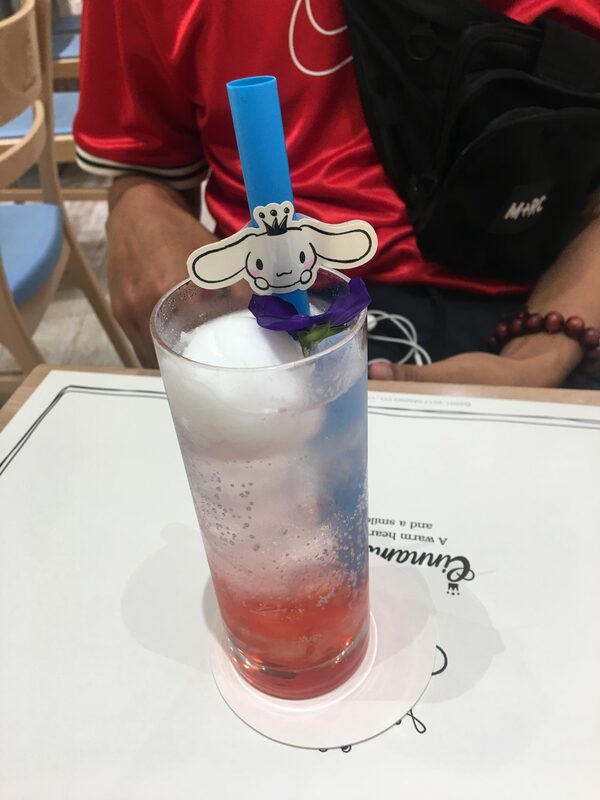 They were very delicious ! Finally the last day of my trip, we visited Odaiba for the Statue of Liberty and the famous Gundam ! 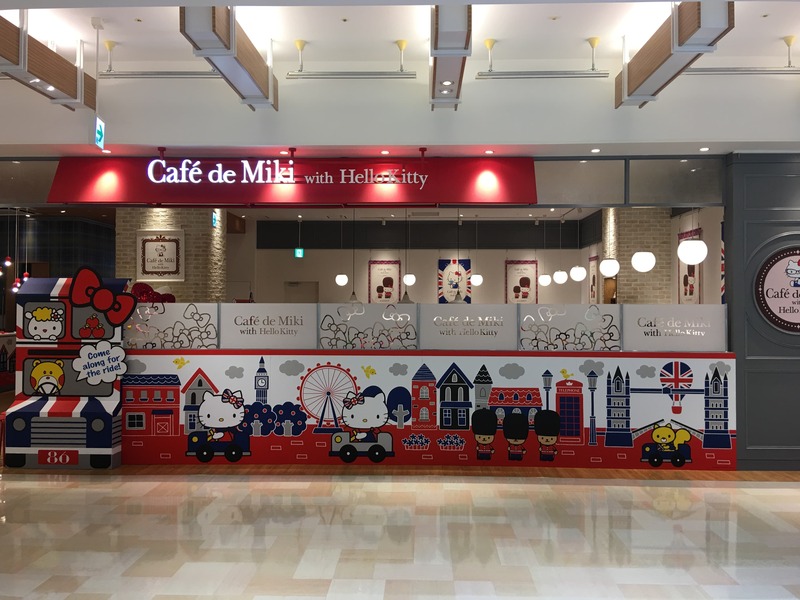 There, there is a mall with a Hello Kitty shop and also the Hello Kitty Cafe with Miki ! 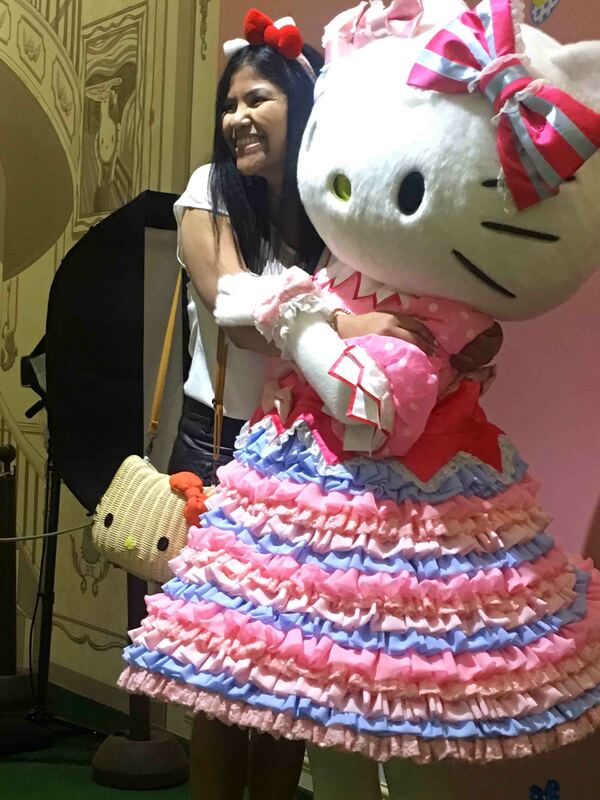 I have no clue about who is Miki but as long as there is Hello Kitty, it was okay for me ! 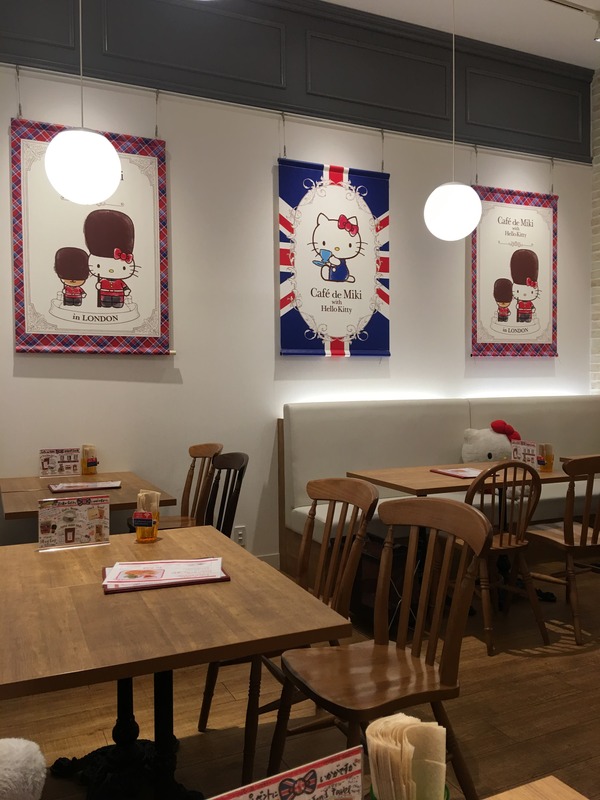 Lol It’s the same concept as the Cinnamoroll cafe with comfy sofa and stuffed Hello Kitty ! 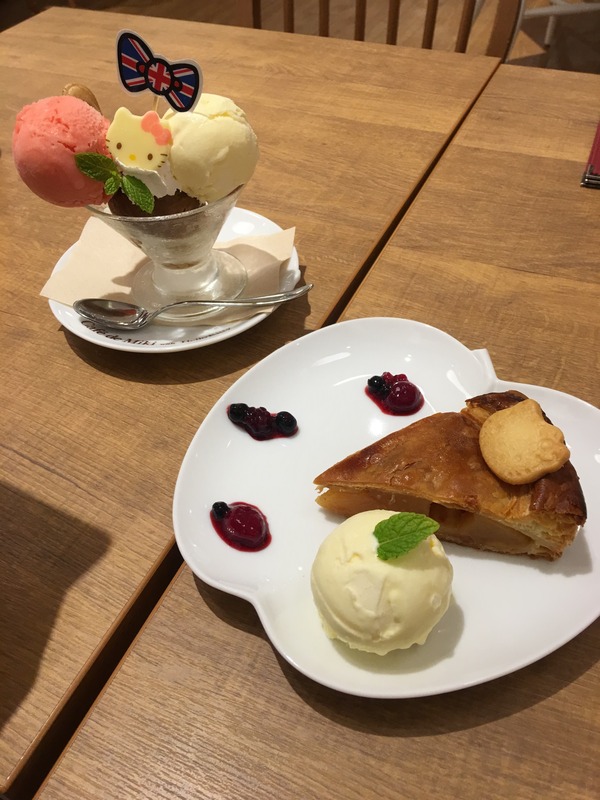 I ordered an iceream and a hot apple pie with a scoop of ice cream ! Both are so yummy but so small ! 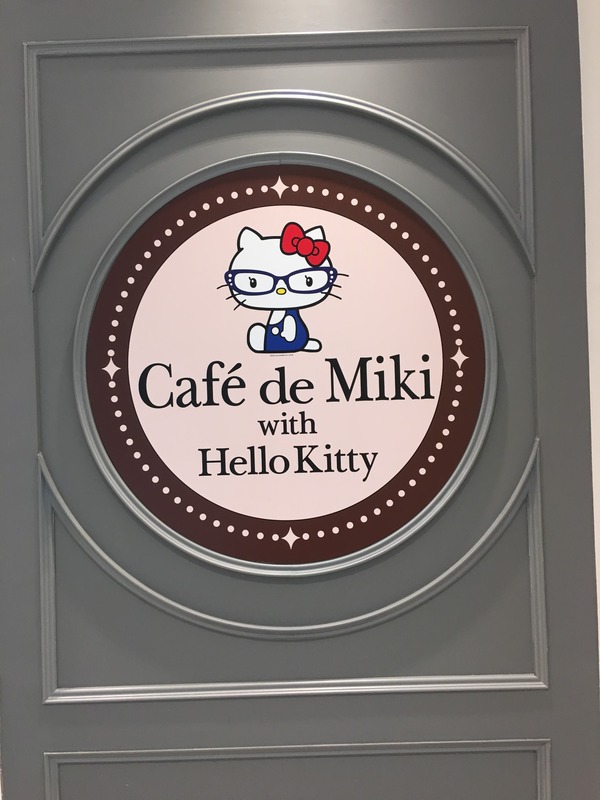 Krr but since the time I wanted to test a hello kitty cafe, i’m very glad i finally could do it ! 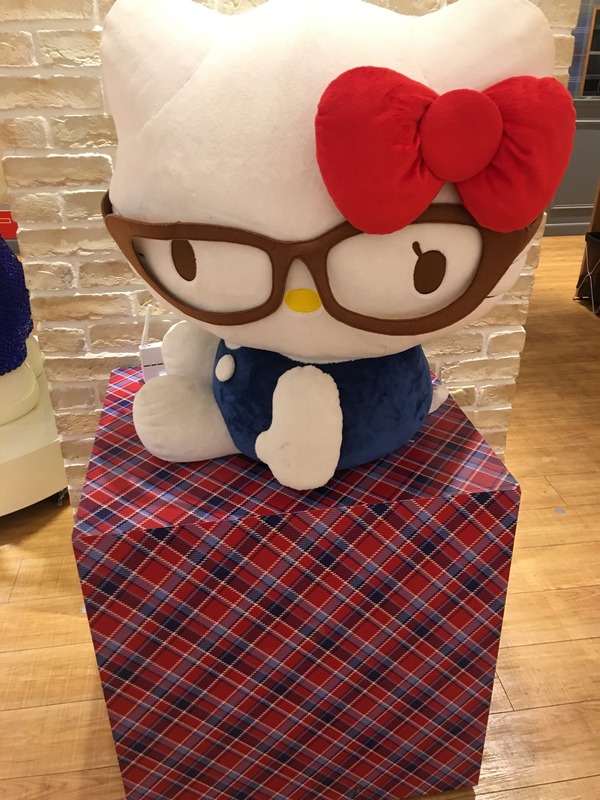 My Hello Kitty trip to Tokyo is achieved and over! 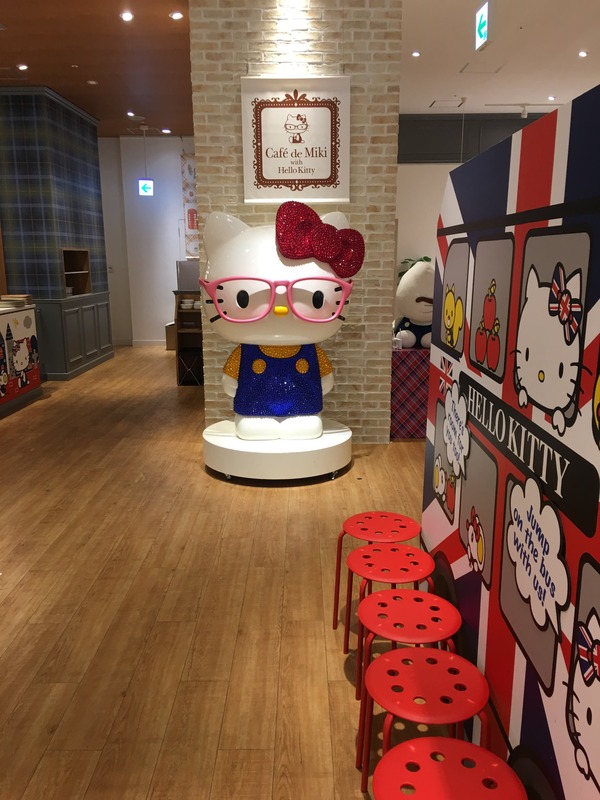 I hope to visit all of Japan the next time because there are so many other places Hello Kitty there ! 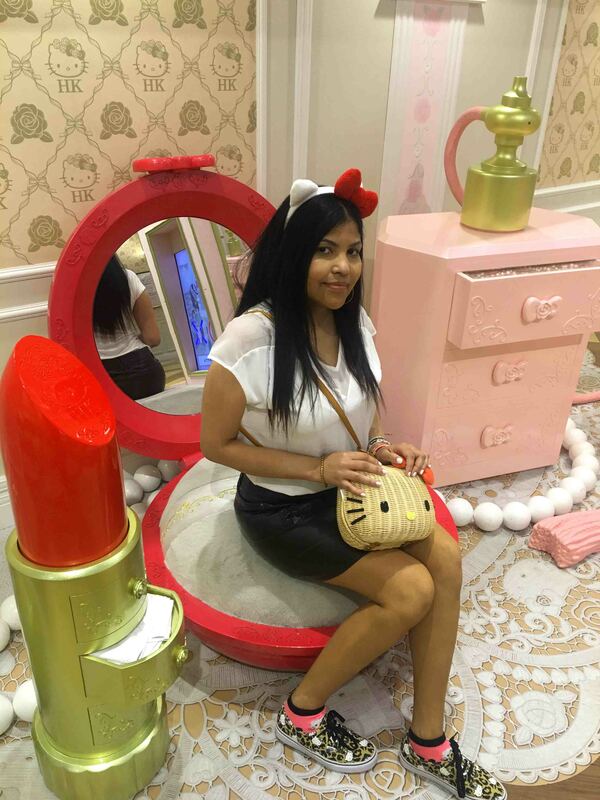 I hope you enjoyed reading my article, and go for my next Hello Kitty travel ! 😀 By the way get 29$ discount on your Airbnb by clicking this link ! P.S : I’m very sorry for the poor quality of my pictures, maybe i will invest in a phone with a better camera quality or just bought a new camera, but anyway i’m not that good to take picture ! 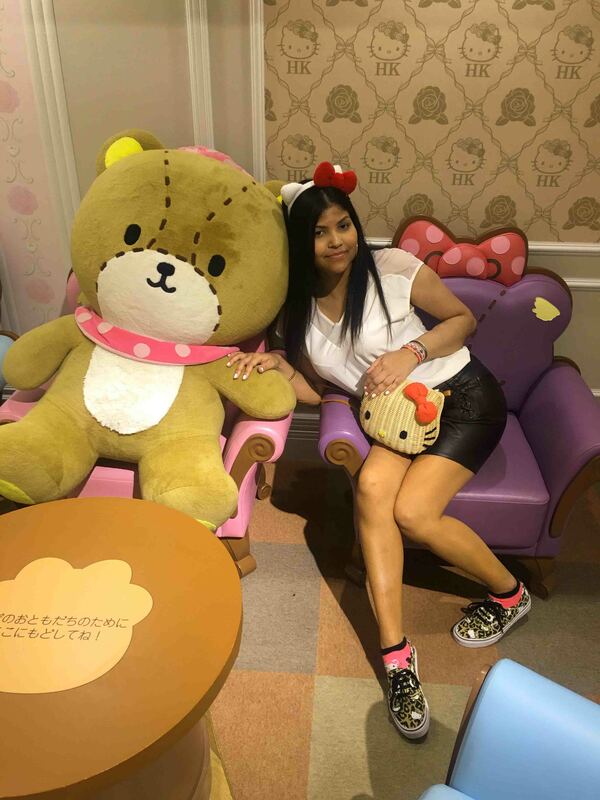 You can also watch my full trip in Tokyo ! 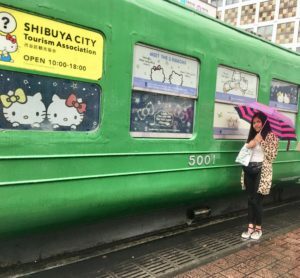 Read about my other Hello Kitty travels here.